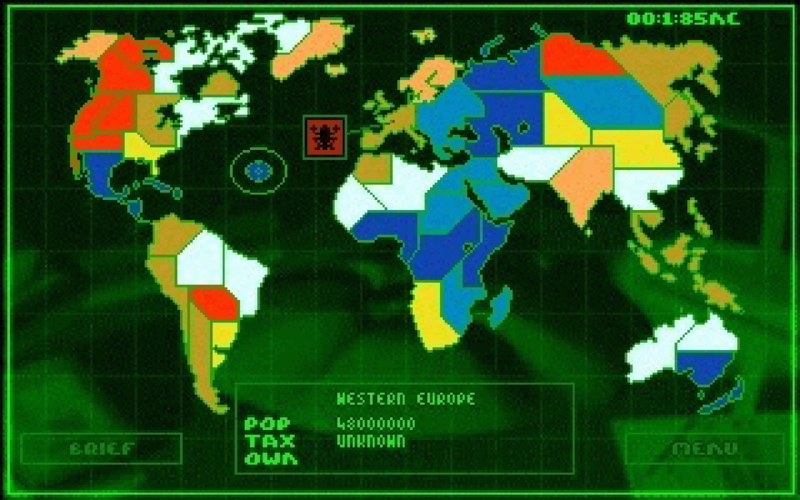 It’s uncommonly rare for a game to embed itself in my poor, addled old brain. It’s even rarer for it to do so merely by dint of its sound effects. Yet, such is the case with Peter Molyneux’s tactical-action classic, Syndicate. Although it has been around for… too many years for me to want to count, it remains one of my all time favourites. “Why”, I hear you cry. “Because it’s the single most visceral audio experience I’ve ever encountered in my long, lonely sojourn into the murky underworld of games” I reply (forgetting, momentarily, about Alien Trilogy on the PlayStation 1, but determined to maintain a position). Here was a game that offered reams of choice, customisation aplenty and the chance for truly skilful, tactical play. Yet what did I do? Ran around herding pedestrians into giant crowds of followers with the Persuadatron (the worst name for a sci-fi persuading gadget ever) or barbequed cars with the best sounding flame-thrower in videogames. Child that I was. Am. Anyway, my point. I’m getting to it. This wasn’t because I was some kind of ‘delinquent yoof’. I have never set fire to a grandmother. Or driven through Radcliffe in a slightly ratty Vauxhall Corsa, hurling beer cans, obscenities and the dashed hopes of my parents at anyone within range. No, it was simply the fact that the sound was so well designed, so wonderfully addictive, that I simply had to keep playing, just so that I could hear the “Klat-chak BOOM! Wibblywibblywibblywibbly… Fwooooossshhhhh” of a shotgun-Persuadatron-flamethrower combo. It was, and remains, a work of audio genius. This is not to say that excellent sound design acted as some sort of plush veneer on a sub-standard game. Oh no. Syndicate was a joy to play. From infiltrating enemy headquarters, capturing a scientist and then “escorting” him back to your HQ, to glorious panic-filled missions where the streets teemed with enemy cyborgs and police; there was a delicious variety to the game. Laced with pitch black humour and a difficulty curve that was steep enough to fill-in for Everest, naturally. Of course, visually, it doesn’t really stand up anymore. While its isometric design has a certain charm, is well-realised and nicely detailed (even if it is quite clearly a *cough* homage *cough* to Blade Runner) it’s beginning to show its age somewhat. I can’t help thinking that a modern re-interpretation would look absolutely stellar. Possibly contentiously, the one thing that I definitely wouldn’t change would be the viewpoint. The isometric layout works wonderfully, allowing you to see plenty of your surroundings, carefully planning your course and modus operandi. Then to, the long-distance perspective adds to the thick atmosphere of detached corporate megolomania and puppeteering that shrouds the game. You really do feel like some evil future Gates/Jobs/Whoever, influencing the whole world from the safety and luxury of your (no doubt fiendishly opulent) desk. Forcing Syndicate into the now ubiquitous first or third-person viewpoints would, in my opinion at least (and as I’m writing this piece that’s the only opinion that counts here), rob it of much of its atmosphere and damage the frequent sections of the game that require a more detached, thoughtful, tactical approach. Naturally, when it came to enjoyment, the fact that your cyborg agents looked like comedy French Resistance fighters from ‘Allo ‘Allo certainly didn’t hurt proceedings. Yes, you could bionically enhance them so that they could take MASSIVE DAMAGE, think their way around Einstein and run faster than me when there’s a spider in the room. But what really made the game, what really clinched the deal, was the fact that you ran around in a trench-coat with a bright red beret. As you would if you were a genetically-engineered, cybernetically-enhanced corporate spy-assassin trying to operate covertly. This is in no way reminiscent of Blade Runner at all. Nu-uh, no way. I loved this game. I still love this game. You should too. If you’ve never played it, or maybe never even heard of it (maybe you’re young, new to videogames, or just a bit daft), go and buy it immediately. I’m not even kidding, go and get it right now. You’ve no excuse, it’s easy enough to get hold of as it appeared on the PC, SNES, Amiga, Megadrive, even the Jaguar and 3DO (yes, really). 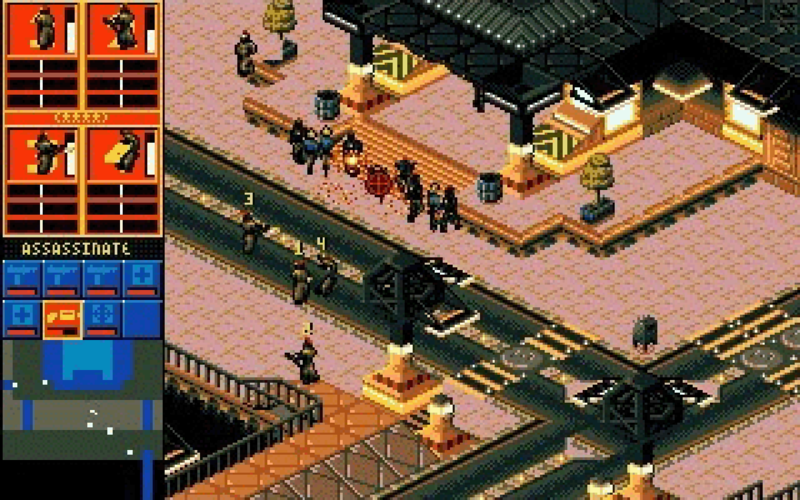 If you favour something more modern, there’s the equally excellent Syndicate Wars on the original PlayStation. Go on, you’ve no excuse, it’ll only cost a few quid. Even if you have to buy an old PlayStation to play it on, it’ll still be less than your average modern AAA release (also, y’know, emulation). Back? Got it? Excellent. Now play it. No, seriously, clear off and play it. Right, you’ve played it now, have you? It’s good, isn’t it? It’s more fun that it has any right to be, isn’t it? It’s possessed of the single best persuading-people-to-do-things-thingamabob sound-effect ever recorded in the history of man, yes? 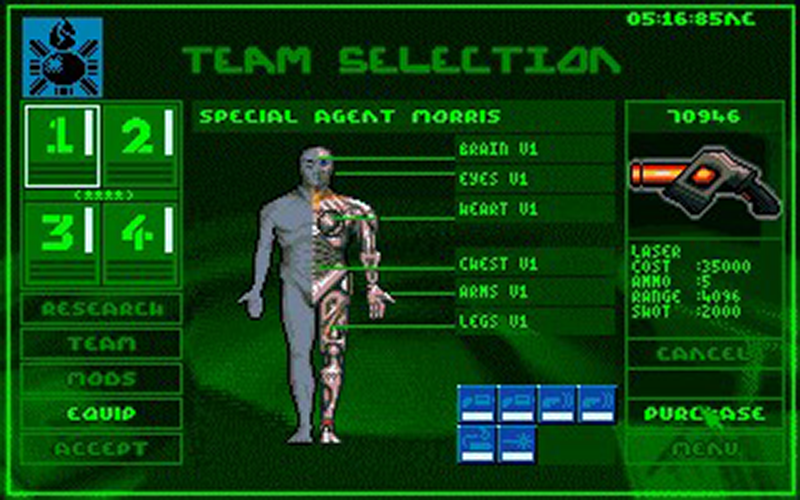 In fact, I still apply the “Syndicate test” to any Blade Runner style sci-fi game. And that’s entirely Peter Molyneux’s fault. It’s entirely his fault that an entire generation (or four) of strategy/action sci-fi games have failed to satisfy me in any real or significant way. There’s been no wibbly-wibbly-fwoooosh. No isometric loveliness. No beret on top. I can come to only one conclusion: Peter Molyneux is evil.